By plane : Nearest International airports: Milan Malpensa (from terminals bus - service linking the airport with Milan and Novara railway stations) and Milan Linate . By train and bus : Milan (“Centrale” Railway station) - Novara - Turin railway line, connection to Varallo Sesia in Novara (Novara - Varallo Sesia bus). 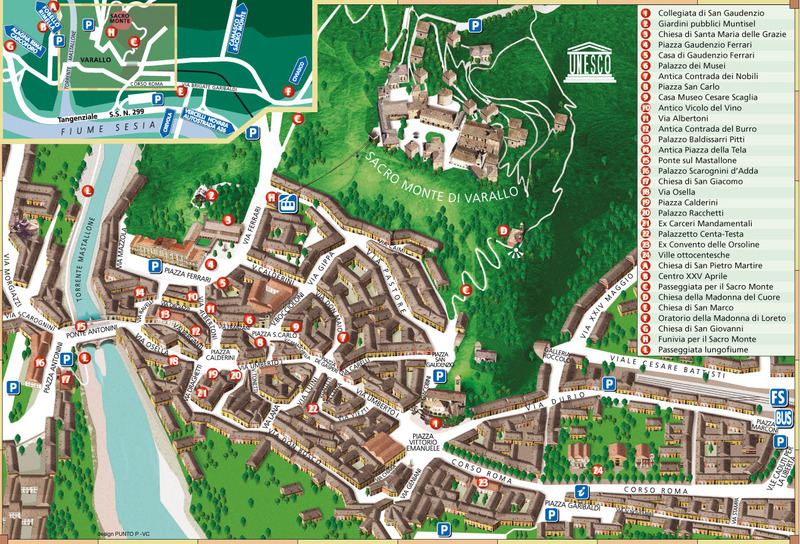 From Milan (departure from Lampugnano Bus Terminal) daily “Baranzelli” bus to Varallo Sesia. By car : From Motorway A4 (Milan - Turin) motorway A26 (Voltri - Sempione) turn off in Biandrate for Gravellona Toce. Exit: Romagnano - Ghemme , direction: Varallo Sesia (Valsesia - Mainroad SP 299 ).